Promissory notes are securities, on the basis of which - apart from the main legal relationship between the parties – arises an obligation of unconditional payment of the indicated amount of money. 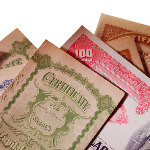 During nearly 80 years of application of the Law on bills of exchange, promissory notes were used primarily in trade between merchants and economic actors. They were also applicable in the relations between employers and employees, but the Polish Supreme Court in its last judgment spoke critically on the use of this institution in the context of an employment relationship. Is it right?